Agricultural guidance and precision farming solutions from Leica Geosystems combine state-of-the-art positioning software with robust, compact hardware built to withstand the toughest field conditions. Farmers throughout the Wimmera-Mallee can now get the most affordable and consistent form of 2cm auto-steer available using the Leica mojoRTK console from Leica Geosystems on the Victorian Government-run CORS network, GPSnet. The Leica mojoRTK is the first ag guidance system on the market that is able to connect directly to the GPSnet network using the console’s integrated NextG modem. This enables farmers to take advantage of highly accurate and convenient RTK connection, which dramatically reduces line-of-sight radio issues and eliminates the need to purchase and maintain a base station. 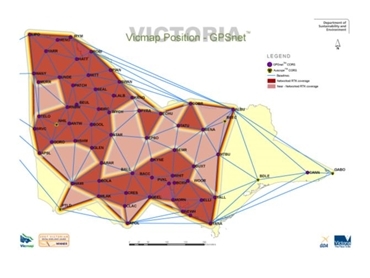 Unlike many community-based ‘networks’ that consist of clusters of single point base stations that are not connected to one another, GPSnet provides a true 2cm Network RTK solution. Continually Operating Reference Station (CORS) bases are linked together via a central server, which provides consistent coverage regardless of distance from a base. With a monitored central server accuracy is maintained even if a base in the area goes down, because positioning information is provided from multiple sites and not just the nearest base. “Coverage in the Wimmera-Mallee is great news for Victorian farmers as it accounts for around 90% of Victoria’s cropping area,” says John Ross, Leica Geosystems territory sales manager for the state. Connecting the Leica mojoRTK to the GPSnet brings affordability along with reliability and convenience. Leica Geosystems offers flexible access plans from one month to 12 months so customers can purchase a plan that fits their individual needs. Leica Geosystems offers complete connection packages that include a network-ready Leica mojoRTK console, NextG data plan and access to the network. A wide range of steering options compatible with a variety of tractor makes and models are also available.